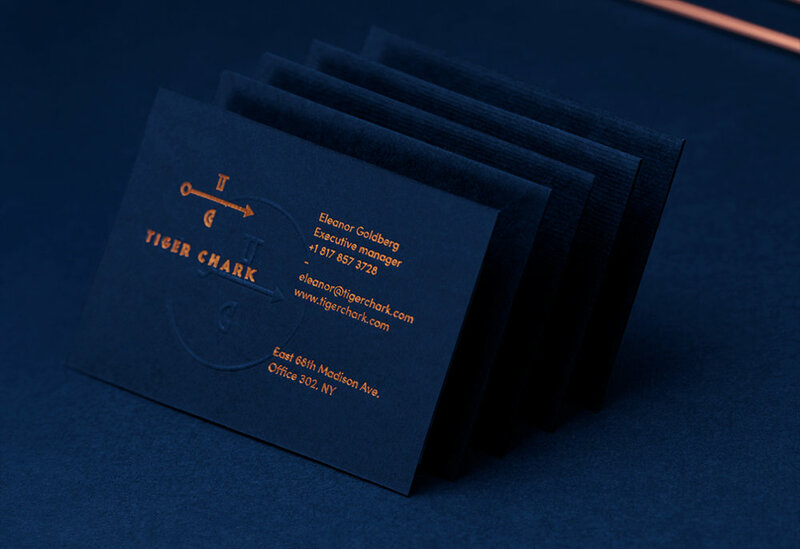 Tiger Chark is a small consulting firm based on the Upper East Side, run from an office with blue walls and plenty of sunlight. These ladies bring together the best talent in fashion, beauty and retail to create exciting ventures, a skill they call “corporate matchmaking”. To capture the energy they bring to each project, we designed a logo inspired by the catalyst symbol, an arrow used in chemistry to show forward motion and acceleration. The identity design was meant to be a playful visual interpretation of two powerful forces coming together.